The farming industry has really benefitted from the introduction of baling machines which came into use at the end of the 19th century. Prior to this making hay bales was an extremely time consuming and heavy job. Farmers used to have to cut the hay and form it into haystacks by hand. Haystacks were a good way to store hay because they kept the hay off the ground allowing it to breathe and drain any liquid. It was important to make the haystacks the right size otherwise the hay would rot. Many farmers use their own hay to feed their animals and don’t need to buy hay in. However, there are other farmers who do not produce their own hay and have to purchase hay from other sources. Selling hay bales is generally an extra of income for farmers who have excess hay they need to get rid of. Starting a hay baling business requires lots of research to determine the demand in your area and the initial start-up costs. Farmers are the most obvious people who require hay to feed and bed their livestock. There are many other industries and individuals who require hay and need to purchase it because they don’t have their own way of producing it. Equestrian centres, racing stables dairy farmers and pet shops purchase hay in different quantities. The way they expect the hay to be packaged is quite different because of the way in which they use and sell it. Horse stables are generally able to accept large deliveries of hay and may purchase hay by the tonne or by the bale. Petshops, on the other hand, need to sell small quantities of hay to lots of people so they would require small hay packs. In areas where hay is plentiful the cost of purchasing hay is likely to be cheaper than areas where there is little hay production. Baling machines are an essential part of farming. They allow farmers to collect and store hay to feed their animals during the winter months. The surprisingly hot summer of 2018 saw farmers feeding their livestock hay due to grass shrivelling up due to drought. 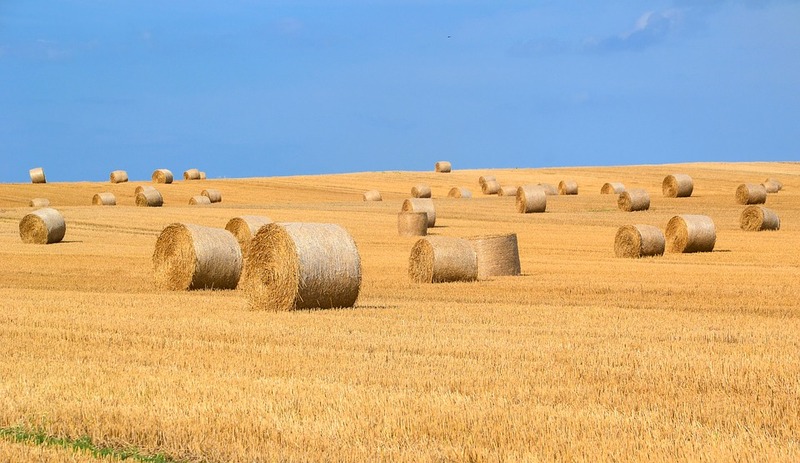 Farmers either produce their own hay or buy bales from other sources. Choosing to sell excess hay or setting up a dedicated hay selling business requires research into its viability. Who are your customers? How much does it cost to make? Do your customers collect or do you deliver? Can you afford the upfront costs? Farmers and pet suppliers are selling hay online to increase customer reach. This is a good way to sell to areas where there is little hay production. If you would like to find out more about our bespoke baling machines for farming and a variety of different uses contact us and we would be happy to discuss your options.